When Richard Watts’ counseling graduate students arrive to class for a unit on Albert Ellis and rational emotive behavior therapy (REBT), they’re in for something a little different. 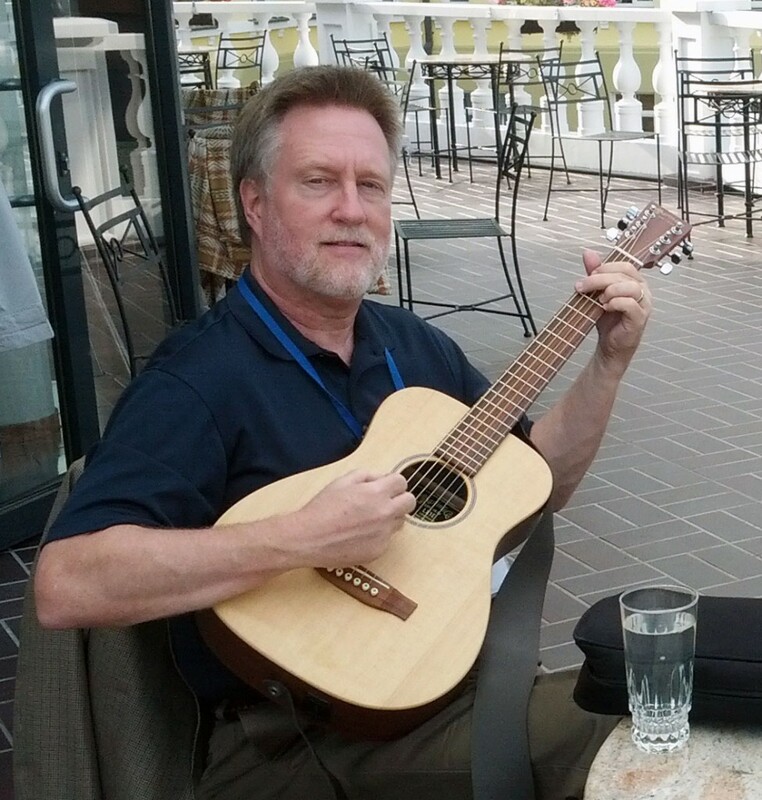 Watts, a professor at Sam Houston State University in Huntsville, Texas, pulls out his guitar and sings songs he’s written to illustrate the irrational beliefs that Ellis in part developed REBT to combat. Set to familiar tunes such as “Mary Had a Little Lamb” and “Oh Suzanna,” Watts’ song lyrics paint a picture of some of the self-sabotaging feelings and behaviors that REBT addresses, such as perfectionism, obsessive relationships, defeatism, victimhood and so on. Ellis referred to such beliefs as “stinking thinking,” Watts says. REBT works to reverse negative, often paralyzing thoughts into rational beliefs, such as an acceptance that we are not perfect and that life won’t always go our way, but that is OK.
Richard Watts with his guitar. Watts distributes the lyrics in class and encourages his students to sing along. He’s been singing about REBT in his classroom — as well as in group therapy settings and, occasionally, at professional conferences and events — for two decades. Watts is following in the tradition of Ellis, who wrote songs to illustrate irrational beliefs decades ago. Ellis led workshops every Friday night at his New York City institute for many years. Known for his big personality, wit and sometimes-irreverent style, Ellis would pull members of the audience on stage for live therapy sessions. He used the songs as a therapy tool, often encouraging the audience to sing along. 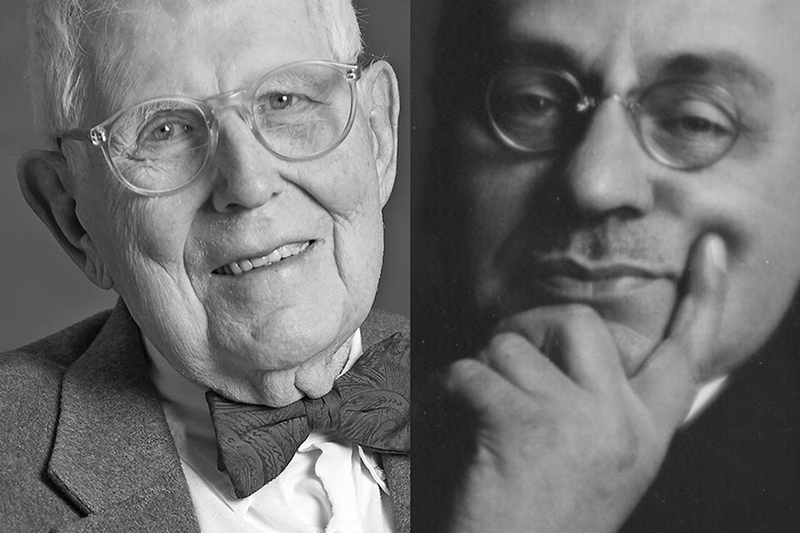 In 1987, Ellis penned a chapter “The use of rational humorous songs in psychotherapy” in ‪William Fry and Waleed Salameh’s book ‪Handbook of Humor and Psychotherapy: Advances in the Clinical Use of Humor. Watts decided to write songs of his own after discovering that today’s college students aren’t as familiar with many of the older tunes that Ellis’ songs are set to. At first, Watts says, his students are a little startled by seeing their professor in a new context — similar to seeing your teacher in the grocery store as a kid. But they soon warm up, he says, even laughing and singing along. When used in group therapy, especially in groups with men, the songs often get clients to open up, he says. Similarly, the songs serve as an icebreaker in the classroom. They are also an effective, if nontraditional, way of helping students learn and remember Ellis’ points. The lessons stick with students much more so than if they were to simply read about the concepts in a textbook, Watts says. In one case, a student who struggled with perfectionism printed out Watts’ song about the issue (the “Perfectionist’s Refrain”) and attached it to the visor of her car as a reminder. Other students have asked for recordings of the songs to use in sessions with their own clients. After singing his songs, Watts urges students to start looking for irrational beliefs elsewhere, including in popular culture. Students are often surprised to discover how often irrational beliefs – from love lost to feelings of worthlessness – are embedded in their favorite music, he says. Given Watts’ penchant for using clever lyrics as both a teaching and therapy tool, it perhaps comes as no surprise that he has a musical background. He came to the counseling profession after earning an undergraduate degree in music (choral conducting) and working as a church choir director. As an undergrad, he put himself through college by singing in piano bars. Watts’ irrational belief songs proved so popular that some of his colleagues encouraged him to submit the songs for publication in the Texas Counseling Association’s academic journal. They were published in academic journals several times in the 1990s, including in the Journal of Humanistic Counseling. Richard Watts’ REBT song lyrics and recordings are available online at bit.ly/1PwpziW. 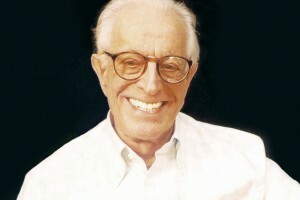 Interested in learning more about Albert Ellis and REBT? See “Getting to know (and love) Albert Ellis and his theory,” Allen Ivey’s recent Q+A with Ellis’ widow, Debbie Joffe Ellis, that appeared in Counseling Today. I was given an assignment in a theories class during the last semester of my undergraduate studies. The assignment was to choose a counseling approach on the basis of agreeing with its theories and assumptions and then defend my rationale for using that approach in counseling. At the time, I was torn between Alfred Adler’s individual psychology and Aaron Beck’s cognitive therapy, ultimately choosing the latter. I have remained in touch with the teacher who gave me that assignment and recently asked him which theorist or therapy his students write about most frequently. He told me that more students turn in papers on Adlerian psychotherapy “by far” than any other therapy. He went on to explain that most of his students can relate to Adler more than any other of the theorists to whom they are exposed (which is a limited number in most bachelor’s programs). We both speculated about why so many students might write about Adler and then later become primarily cognitive behavior therapists once they get into practice. For example, I have seen this occurrence among interns at my current place of employment. My former teacher and I concluded that the high demand for evidence-based practice was likely the primary reason for this theoretical “migration,” with limited exposure to alternative therapeutic approaches being a secondary reason. The rise of evidence-based practices has shifted demand in their favor, while parity laws have turned demand into requirement. Most evidence-based practices come from cognitive- and behavior-based therapies. Jonathan Shedler’s 2010 article, “The Efficacy of Psychodynamic Psychotherapy,” published in American Psychologist, offered techniques from psychodynamics that are evidence-based. In his 2005 article, “Positive Psychology Progress: Empirical Validation of Interventions,” also published in American Psychologist, Martin Seligman and colleagues reported on the effectiveness of relationships in psychotherapy through his humanistic approach, positive psychology. But many other approaches favorable to counselors still lack this evidence-based foundation. So what are counselors to do when the theoretical assumptions with which they agree from a specific therapeutic approach cannot meet the demands of evidence-based practice? The most common solution is eclecticism and integration. These words are sometimes used to describe different approaches, but they are also used interchangeably in many circles, scholarly or otherwise, to describe essentially the same process: combining bits and pieces of various theories and techniques based on the risks and needs of each client. Although this approach has shown promise, authors such as Brent Slife, Frank Richardson, Robert Fancher, John Norcross, Larry Beutler and Arnold Lazarus, to name only a few, have pinpointed a series of difficulties yet to be overcome in the eclectic/integrative movement. There are several obstacles, but the two most common are the lack of a guiding theory to direct and inform interventions and, on the other end, too much theory to be practical. A viable alternative for bridging the gaps between various theories and evidence-based practices comes from a phenomenological theory known as ontological hermeneutics, which is an interpretive approach that seeks to understand what it means to be a human and to have experiences. It emerged as a viable theory long before Sigmund Freud conducted his first psychoanalytic session. As context, ontological hermeneutics was in its germinal stages before the first shots on Fort Sumter were fired to open up the Civil War. Since then, many psychotherapists, as far back as the revered philosopher and psychologist William James, have utilized elements of this theory in their practice. But what does a 160-plus-year-old theory have to offer counselors operating under the banner of evidence-based practice in the 21st century? In a single statement: a comprehensive yet manageable theory of human nature that is advantageous to therapist conceptualization and intervention. Unlike many mainstream psychotherapeutic approaches that maintain an individual perspective when working with clients, ontological hermeneutics conceptualizes from a relational perspective. Relationships present endless possibilities for relating to others (e.g., nonchalantly, compassionately, sarcastically) and being in the world (e.g., happy, depressed, engaged, aloof). This informs therapists that clients’ psychological ills are not occurring solely within, or because of, the individual. Rather, they emerge from clients’ relationships with, and patterns of relating to, others. In other words, a client may not be depressed because of faulty information processing and distorted thinking, but rather because the client has developed various patterns of relating to others that are not conducive to healthy relationships, therefore affecting the client in adverse ways. The difference here, according to ontological hermeneutics, is that the client did not develop these maladaptive patterns of relating on his or her own, or as the sole result of internal cognitive or affective processes. These patterns were cocreated simultaneously by the client and the other people with whom the client is in relationship. There are endless possibilities for relating to others, however, and choosing to relate to others differently can improve well-being. And because all parties equally coconstitute a relationship, its very nature begins to change as soon as one participant (i.e., the client) chooses a different possible pattern of relating. It follows, then, that the crux of what hermeneutic theory is saying is that relationships heal, especially ones characterized by compassion. Although there is no research supporting the efficacy of ontological hermeneutics, there are anecdotal experiences from counselors who have seen therapeutic gains through its application with clients. I am one of those counselors. Additionally, Seligman’s famous study from 1995, “The Effectiveness of Psychotherapy,” determined that psychotherapy in general, regardless of modality, is very effective. With that said, counselors attracted to theories such as existentialism, Adlerian, Gordon Allport’s trait theory or ontological hermeneutics can still maintain an overall evidence-based therapeutic practice because of eclecticism/integration. The greatest strength of ontological hermeneutic theory is its conceptualization prowess without being too theoretically laden. Much of what draws counselors to Adlerian, existential, logotherapy, humanistic and client-centered approaches, and even to a certain degree cognitive- and behavior-based therapies, can be found within ontological hermeneutics. Its theoretically sound tenets of what causes and ameliorates human suffering make it ideally situated to serve as a grounding theory in an eclectic/integrative approach. Using ontological hermeneutics as a guiding theory that informs counselors how to incorporate and utilize evidence-based interventions can become a very specific eclectic approach. Some of us hermeneuts have started referring to this kind of approach as relational and compassionate psychotherapy (RCP). Knowing that healing takes place within relationships characterized by compassion is what guides the counselor’s selection of interventions. For example, it is common for the clients I work with to believe that other people do not like them. Instead of challenging their cognitive distortion from an individual perspective, I probe for more information about the nature of their relationships. Typically, these clients and I discover together that they spend a far-too-significant amount of time talking about themselves in their conversations. This opens me up to challenge their cognitive distortion from a relational perspective. In cases such as these, I challenge the clients to stop personalizing their conversations with others too much. I then encourage them to utilize the GIVE skill, an interpersonal skill from dialectical behavior therapy that helps clients improve relationships by showing interest in and validating others (GIVE stands for gentle, interested, validate and easy manner). The assumption is that by devoting some attention and interest to others, clients learn to be more compassionate, leading to improved relationships and, in turn, a healthy support system. This ultimately creates new possibilities for being in the world, which is what ameliorates symptoms. Hermeneutic counseling, or what some of us are referring to as RCP, is a very simple process that many seasoned counselors will find familiar. In its most basic form, the process has three steps. 1) Focus on the interrelatedness between the counselor and the client. 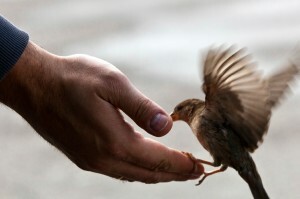 2) Maintain an attitude of openness. 3) Find ways to offer suggestions and new possibilities for the client to heal. Although extremely similar to our basic core counseling skills, there are some subtle differences that enhance RCP. When counselors focus on their interrelatedness with clients, they are focusing on their relationship and rapport. However, there are some variations. Mainstream approaches therapeutically utilize rapport as a foot in the door, or a hook, with the client when intervening. With RCP, that rapport is not a means to an end; it is the end in and of itself. It is meant to be meaningful to both the client and the counselor. The rationale for this is that relationships characterized by compassion are the healing factor (what we refer to in the clinical literature as the curative factor) for human suffering. As the counselor models compassion, the client emulates that model in his or her own life. In turn, this will improve the client’s relationships with family members and friends, enhancing the client’s support system. All counselors already maintain an attitude of openness to their clients. RCP tenets attempt to develop this notion further by taking it from a level of understanding and empathy to a level of meaning and mattering. In other words, a counselor following this three-step model allows what the client says to matter and even change what the counselor thinks and believes when it is appropriate. For example, I recently worked with a client who believed that her peers at our day-school program were making fun of her. However, her teacher was not observing any bullying, and the client wouldn’t give me any specific examples. She simply alluded to the way her peers were looking at her while laughing. Instead of resorting to reframing her cognitive distortions, I allowed what she was saying to matter to me and took it to be true. Although this may sound like distorted logic, RCP posits that the client’s perspective, and the meaning that the client draws from that perspective, is equally important to my own. By demonstrating that degree of humility and providing this client’s perspective equal say in her therapy, I sent the message that I trusted and validated her. In doing so, I also reinforced for her that therapy offered a safe environment to be who she truly is and to continue exploring her experiences so that the possibility for transformation would increase. About three weeks later, staff uncovered some notes my client had been passing over the course of a month and a half, the contents of which contained ample bullying from her classmates. The step of uncovering ways to intervene and offering suggestions that might lead the client to heal also carries similarities to basic counseling skills. However, RCP has its own variations. The biggest difference is that RCP counselors offer suggestions and interventions from a place of deeper humility. RCP counselors accept that the suggestions and interventions we offer may not work for particular clients. We also accept that our understanding of what is going on with the client may not be complete (unlike what mainstream conceptualizations may suggest). When counselors following this three-step model offer suggestions, they understand that they are merely providing counsel, and they respect that the client may opt to disregard that counsel of legitimate accord, not necessarily because the client is resistant. In such cases, the RCP counselor reverts back to Steps 1 and 2 to continue dialoguing with the client until greater understanding of the issues can be achieved and a more applicable intervention realized. Counseling does not have to be a complicated, mechanized process that risks confusing clients and building the kind of resistance that shuts clients down. Instead, counseling can be very concrete, simple and compassionate. It is not necessary for counselors to subscribe to ontological hermeneutics and RCP to implement the three steps discussed above or the tenets that accompany them. Clients will appreciate any counselor, utilizing any therapy, who adheres to this model. Kevin Glenn is a licensed clinical mental health counselor and a theoretical counselor. Contact him at klg65@gmx.com. The 2014 ACA Code of Ethics is meant to be a living document, applicable to a growing, changing and active profession. It would make sense, then, for counselors to familiarize themselves with the code through the lens of real-life scenarios that might arise in their office. 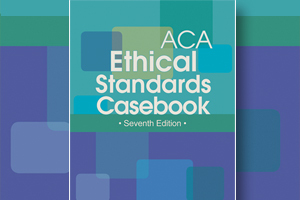 Barbara Herlihy and Gerald Corey have provided that lens in the seventh edition of their ACA Ethical Standards Casebook. The book fleshes out each standard of the 2014 ACA Code of Ethics with a case vignette and discussion points. Readers are exposed to various aspects of counseling, from issues that might arise with record keeping to whether a counselor should be friends with a former client. In this new edition, you mention that a counselor’s perspective on ethical issues may change over the course of his or her career. Besides revisiting the ACA Code of Ethics and related resources such as your book, what are some ways counselors can stay “fresh” regarding the ethics of the profession? Ongoing supervision, seeking consultation when needed and self-reflection are essential routes in keeping current. 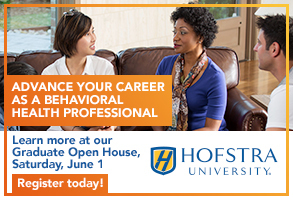 Counselors can gain new ideas from attending conferences and participating in workshops, by reading professional books and journals, having dialogue with colleagues, keeping a personal journal, making efforts to write about topics that matter to them, developing a network of support, finding ways to engage in personal development, consulting on matters related to their practice and engaging in self-care. The casebook can serve as a vehicle for continuing education that experienced counselors can use to further their aspirational ethics. Counselors with many years of experience can read and reflect on the material in the casebook and can discuss the material with their colleagues. They can also ask themselves: How can I best monitor my own behavior? How can I apply relevant standards to situations I encounter? How can I ensure that I am thinking about what is best for my clients, my students or my supervisees? What do you hope students, recent graduates and new counselors take away from this book? Our hope is that this casebook can be a tool to assist recent graduates and new counselors in obtaining a clearer idea of what is involved in the practice of aspirational ethics. Ideally, readers will not think about doing the minimum to avoid malpractice actions but will think of how they can always keep the best interests and welfare of their clients in mind. Rather than foster a rule-based approach to ethics, our aim has been to help readers think of ways they can develop their own perspective on ethical practice. The variety of perspectives of the contributors and the case studies will help students think about their position of the issues. Each of the 12 chapters in the casebook is followed by two case studies that illustrate some of the issues examined in a given chapter. Each case study presents an ethical dilemma and is followed by questions for thought and discussion and an analysis of the case. Students have often told us that they had never thought about certain ethical questions until they were confronted with cases that raised difficult issues or posed dilemmas that could not be neatly resolved. This casebook gives students an opportunity to examine many ethical issues before they confront them in practice. What do you hope more veteran, experienced counselors take away from the book? We hope that more experienced counselors will realize that ethical practice is a journey in which one never arrives at a destination. We believe that ethics is best viewed from a developmental perspective. As counselor gains experience, their views are likely to evolve. Ethical reasoning takes on new meaning as practitioners encounter a variety of ethical dilemmas. Becoming an ethical and competent professional entails being willing to question ourselves, to discuss our doubts with colleagues and to engage in continual self-monitoring. What prompted you to release a seventh edition of this book? Please talk about the updates and changes readers will see in the new edition. It was time for the new edition. The casebook is always updated so that it matches revisions to the ACA Code of Ethics. Thus, when the 2014 code was adopted, a new casebook was needed. Readers will find several new chapters in this seventh edition of the casebook that reflect new standards and sections of the 2014 code. There is a new emphasis on social justice and counseling across cultures, and new chapters on managing value conflicts; technology, social media and online counseling; research and publication; and the intersection of ethics and the law. Almost all the case studies are new and reflect the complexities of real-world counseling practice. As you mentioned, this edition of the casebook coincides with the release of the revised ACA Code of Ethics. What are some topics from the revised code that you felt were most important to flesh out in your book? The contributors provided a wide range of case studies that are geared to the 2014 ACA Code of Ethics. These case studies have reflection questions aimed at assisting readers to become actively engaged in the issues they raise. Each case study is followed by an analysis of the case based on the ACA code and further questions for discussion. These cases help translate sometimes-abstract concepts into practical and concrete terms. The depth of the case studies challenges readers to formulate their own perspectives on ethical issues involved. Explain the thought process that went into the way you broke up the subject matter from the 2014 ACA Code of Ethics in your book. We wanted to incorporate all aspects of the current code in the revision of the casebook. For example, in Part II of the casebook, we include the 2014 ACA Code of Ethics, yet we also have an illustrative vignette for each of the standards. The aim here was to provide concrete examples of ethical and effective implementation of the spirit of each standard. Many of these illustrative vignettes are new to this edition or are revised. Part II presents a kind of “micro” perspective on the code, illustrating each individual standard with a brief vignette. We also thought it would be useful to readers to have a “macro” perspective, or a section that gives focused attention to larger issues such as values, confidentiality and implications of new technologies and boundaries. Part III presents chapters on these and other issues, and each chapter is accompanied by two case studies that demonstrate how the code of ethics can be applied to resolve ethical dilemmas that arise around these issues. These case studies, written by counselors with widely diverse experience and expertise, represent the complexities of real-world practice. What originally inspired you to collaborate and write a book on this topic? What made you want to include case studies? We have a common interest in ethics and have co-presented at conferences many times over the years. We agreed that writing about our views and experiences would be a meaningful endeavor. Thus, we have collaborated on various editions of two books [Boundary Issues in Counseling being the other] with ACA for over two decades, and we always find it challenging, interesting, rewarding and fun to work jointly in this manner. We also have found it meaningful to involve our colleagues and students in contributing to the evolution of these books on ethics. The decision to include case studies in our books was based on feedback from students who consistently stated that actual cases stimulated their thinking and promoted discussion in class. This helped them to see the actual implementation of ethical standards into counseling practice. Gerald Corey is a national certified counselor and professor emeritus of human services and counseling at California State University at Fullerton. The ACA Ethical Standards Casebook is available from the American Counseling Association bookstore at counseling.org/publications/bookstore or by calling 800-422-2648 x 222. Herlihy and Corey will be at the 2015 ACA Conference & Expo in Orlando, Florida, to give a talk on both the ACA Ethical Standards Casebook and Boundary Issues in Counseling, another book that they co-authored for ACA. Receiving supervision is an experience common to all counselors. Some view it as little more than an experience to be endured — another box to be ticked off the list in pursuit of a counseling degree or counselor licensure. Perhaps that’s because securing the proper supervision can be a frustrating, time-consuming and expensive proposition, especially at the beginning of a counseling career when the paychecks are low and the burden of student loan debt is heavy. Many other counselors, however, possess a different perspective, believing that all the “gains” achieved through supervision are worth the potential “pains” that accompany the process. Professionals who study and provide counselor supervision contend that the supervisory experience is critical to a counselor’s development. Many of these professionals also think that supervision is something counselors should seek throughout their careers — not just at the beginning of a career — from senior colleagues and peers. Counseling Today recently spoke with several counselors about what makes a supervisory relationship work, as well as some of the challenges inherent in supervision. In a recent small study, American Counseling Association members M. Kristina DePue and Glenn Lambie found that effective supervision is more about the relationship itself than the particular methods or strategies used during supervision (studies have found, of course, that the same holds true with the counseling process). Lambie and DePue examined satisfaction ratings by supervisees and supervisors and found that high satisfaction ratings correlated with greater competency levels during the practicum process. As with the counselor-client relationship, the supervisor-supervisee relationship should include trust and acceptance, says DePue, an assistant professor of counselor education at the University of Florida. As a constructivist, she believes the supervision process is (or should be) a holding environment — one of support, challenge and continuity. In fact, DePue thinks that in order to provide understanding and effective supervision, those who supervise must keep the therapeutic relationship in mind. Lambie, a professor of counselor education and chair of the Department of Child, Family and Community Sciences at the University of Central Florida, agrees about the importance of maintaining an environment in which supervisees are able to be themselves and feel comfortable trying different things. During their professional journeys, many counselors experience critical incidents — specific moments or cases that cause them to question the path they’re on. Oftentimes, these critical incidents can be positive, serving as turning points that deepen a counselor’s sense of professional identity, says Ruthann Smith Anderson, an ACA member and past president of the Ohio Mental Health Counselors Association. However, when a supervisee experiences a critical incident, the encounter can be overwhelming. Supervisors need to recognize when supervisees have had a critical incident so they can help guide the supervisee through it. “There are moments when counselors-in-training come up against something they don’t expect in terms of who they are in counseling and what counseling is. It can cause them to question themselves, their qualifications and capabilities,” says Anderson, a licensed professional clinical counselor supervisor (LPCC-S) and an assistant professor of counseling and human development at Walsh University in North Canton, Ohio. Critical incidents among supervisees often involve questioning professional identity, difficulty with the complexity of real-life cases and even struggling with the supervision process itself, Anderson says. In some cases, supervisees are dealing with a sense of disappointment because they are not as professionally competent as they assumed, she adds. Providing consistent feedback requires close supervision. In Anderson’s program, all supervisee sessions are taped so that the supervisor can later review the session with the supervisee. Supervisors also watch some sessions live from another office. Going over the session tapes with supervisees helps Anderson track their professional development and provide guidance in areas in which they need more help. For example, perhaps the supervisee didn’t stop to note that what the client was saying didn’t match his or her affect — maybe the person was smiling or laughing while talking about something sad. Anderson can jump to that spot in the session tape and ask what the supervisee was thinking at that moment and what the supervisee might say now. If the supervisee still doesn’t recognize the problem, Anderson will explain it and ask why the supervisee thinks he or she missed it. The supervisee can then bring the issue up with the client in the next session and also will have learned to watch for similar reactions with other clients. Working with and teaching supervisees, not just telling them what they did wrong, is part of successful and supportive supervision, Anderson says. “When [providing] supervision, hopefully you are doing supervision on several levels — developing skills, deepening the ability to hypothesize or conceptualize, and exploring who the supervisee is as an individual and how that influences [his or her] work,” she explains. When supervising closely on all three of those levels, Anderson says, supervisors are likely to catch a supervisee’s critical incidents and any other issues that need to be addressed. Among the most difficult circumstances any counselor will face is a client’s death by suicide. Now imagine confronting that reality in the supervision process. Although it is not a common occurrence, it can and does happen, says Daniel Weigel, a licensed professional counselor (LPC) and ACA member. 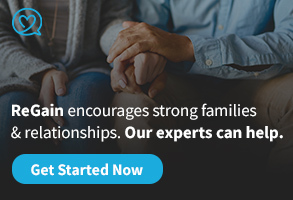 To protect supervisees, clients and themselves, supervisors must observe caseloads closely, teach supervisees how to assess for clients who may be suicidal and build a strong supervisory relationship that encourages novice counselors to ask for help anytime they are working with a client who is potentially suicidal. Such clients aren’t likely to come in to counseling and announce that they’re feeling suicidal. 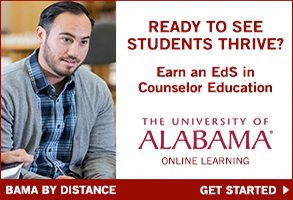 Instead, counselors must be on the alert for subtle signs, including behavioral or verbal clues that novice counselors and counseling students might overlook, says Weigel, a counseling professor and the practicum and internship coordinator for the counseling programs at Southeastern Oklahoma State University. As an example, he mentions clients who avoid using a future orientation in conversation, such as discussing plans for the weekend or talking about what they’ll do after graduation, or who speak almost exclusively in the past tense. Because not all clients will have been diagnosed previously, supervisors also need to teach their supervisees to recognize signs of disorders such as depressive disorders, bipolar disorders, substance abuse and schizophrenia that commonly accompany suicide attempts, Weigel says. Other signs supervisees should be taught to probe for are a previous history of suicide attempts (which Weigel identifies as perhaps the best predictor of future attempts); isolation from social supports such as family members, a partner, friends or a religious community; abuse of alcohol or drugs; and addictive behaviors such as gambling, among many other potential signs. “Counselors-in-training require education in recognizing these clues and trusting their instincts to ask the necessary questions if such situations arise with a client,” Weigel says. Supervisors can help supervisees by observing or shadowing actual suicide assessments (if clients give their permission). As supervisees become more experienced, they can also learn by co-participating with supervisors or taking the lead (under live supervision) in conducting suicide assessments and interventions. Providing close and collaborative supervision is likely the only way for a supervisor to accurately determine whether the supervisee’s client is at risk for suicide, Weigel says. “To rely solely on information presented by a supervisee verbally or in written form, as opposed to the raw data presented in recorded sessions, live supervision or co-counseling supervision strategies, is unlikely to reveal the subtle clues of client suicide risk,” he says. Weigel acknowledges that much of the supervision being provided in the field is not live, in part because many supervisors don’t have the time necessary to see their own clients and observe live counseling sessions conducted by their supervisees. In addition, many supervision sites don’t have the capability to tape sessions for later review. So Weigel stresses the importance of developing a strong supervisory relationship, particularly if supervision must be based solely on verbal or written reports from the supervisee. Otherwise, supervisees may be tempted to hold back and present only that information they think will “please” the supervisor. According to Weigel, this is very common behavior. Weigel advises supervisors to screen clients carefully before pairing them up with a counseling student or novice counselor to determine if they are an appropriate match. He also directly discusses the possibility of client suicide with his supervisees. “Allowing supervisees who are not carefully oriented and trained in suicide assessment to see clients is a very dangerous position in which to place everyone. The first step in handling a potential crisis between a supervisee and his or her client is to educate [the supervisee] on the process before clients are ever seen,” says Weigel. He explains that preparation involves carefully reviewing the signs of suicide risk with supervisees, while also encouraging them to tune in to their own feelings and trust their instincts. At Southeastern Oklahoma State, if a supervisee at the practicum or internship level suspects a client may be suicidal, he or she must bring the supervisor in immediately. Supervisors should establish a procedure for this circumstance ahead of time because suicidal clients should never be left alone, even for a moment, Weigel emphasizes. Once the supervisor is called in, he or she will typically take over the suicide assessment and ideally give the counselor-in-training the opportunity to observe the assessment and intervention in real time, he says. The United States has long been a nation of many cultures, and its population continues to grow more diverse. Yet most counseling programs offer only one course specifically devoted to multiculturalism, notes ACA member Kevin Feisthamel, director of counseling, health and disability services at Hiram College in Ohio. He doesn’t believe that’s enough. Being multiculturally competent as a counselor doesn’t automatically make you multiculturally competent as a supervisor, says Paula Britton, an ACA member and professional clinical counselor supervisor who runs a multicultural workshop for supervisors in Ohio. “In many states, you don’t need any additional multicultural training to become a supervisor,” she notes. When supervisors aren’t multiculturally competent, they are really doing their supervisees a disservice, contends Britton, who believes that supervision is the best place to learn multicultural competence. Multicultural awareness in supervision doesn’t just concern clients; it may also be an issue within the supervisory relationship itself, says Britton, a professor of clinical mental health counseling at John Carroll University. “People who come from oppressed cultures often have trouble with trusting people in power, and supervisors are people in power,” she points out. If a supervisor doesn’t take the time to understand a supervisee’s personal cultural background, the supervisor may make assumptions that further impede trust being established in the supervisory relationship, Britton says. And if a supervisee doesn’t trust the supervisor, he or she will be less likely to ask questions or bring up concerns, which can have a negative effect on the counselor’s professional development and, ultimately, the quality of care provided to clients. Britton offers the example of a white supervisor with a supervisee who is African American. The supervisor might make the assumption that the supervisee comes from a low-income background. “Then the supervisee feels misunderstood but doesn’t want to say anything because [he or she is] being evaluated,” Britton says. Counselors need to educate themselves, but that doesn’t mean they have to be experts on every culture, either with their supervisees or with their clients, Britton says. Rather, she explains, they simply need to speak up and acknowledge when there are holes in their cultural understanding. “Say to your supervisee, ‘I don’t know a lot about this culture. Let’s explore it more,’” she urges. By doing that, a supervisor shows the supervisee that learning is a career-long process and that even veteran counselors don’t have all the answers, she says. Feisthamel also encourages his supervisees to ask questions. “I think sometimes students don’t ask questions because they’re afraid to be wrong,” he says. The supervisor needs to make sure that the supervisee feels comfortable enough to ask questions — even if they seem stupid, asserts Feisthamel. Counseling students at Indiana State University receive assistance with internship placement, but the program staff there also wanted students to get more experience under live supervision. So the staff lobbied to reopen a community mental health clinic, associated with the university since the 1970s, that had recently fallen by the wayside. The clinic is staffed by three of the department’s counselor educators, as well as outside clinicians and the students themselves. Students begin work there during their practicum and stay on during the summer between practicum and internship. Although they are placed outside the clinic for internship, they still put in hours at the clinic. But the clinic isn’t just convenient for the community and students; it’s essential to the supervisory process, says Tucker, a member of ACA. Instead of reviewing tapes from supervised sessions off campus, as the program used to do, all supervision at the clinic is live. Each consultation room has a camera with a live feed that is monitored by staff and other students in a main control room. The camera also records all sessions so that students can review them later. In addition to being observed from the control room, students come out halfway through their counseling sessions for a brief consultation on what is going well, what isn’t and what they might try next. The supervisees and the program also benefit from the participation of counselors from outside the university. These counselors not only provide an outside perspective but also help students gain an understanding of the nuts and bolts of private practice, such as billing practices and issues (the clinic charges a nominal fee and doesn’t bill), and all the documentation that practitioners need to keep. “They [the outside practitioners] also have access to outside referral services that we don’t have,” Tucker adds. The clinic serves individual adults, children, families and couples. The faculty uses this variety to push supervisees out of their comfort zones. “If they say that children make them nervous, we’ll stick them with a 4-year-old,” says Tucker, noting that several of her supervisees initially voiced feeling uncomfortable counseling children, only to later decide that they wanted to become play therapists. But the main point of the clinic is to give the students experience counseling a wide variety of clients. “They need to become generalists, because in the beginning [of a counseling career], you need to be able to handle whatever comes through the door,” she says. Tucker believes live supervision is the key to getting counselors-in-training ready for internship and beyond. Therefore, she urges other counselor educators to find a way to incorporate at least a few live supervision sessions into practicum or internships. How do you find supervision when you’re in an area with very few providers? And if you’re one of those providers, how do you learn to supervise novice counselors? These are among the challenges that Lauren Paulson, an LPC and ACA member, has faced while working as a clinician and supervisor in a rural area outside of Pittsburgh. “Many rural environments are lacking a lot of services, and counselors have to work as generalists,” she notes, adding that practitioners in these small, sometimes remote communities often have to fill most or all of the community’s counseling needs. Not only are these practitioners juggling roles and a wide range of counseling issues; they are often doing so without the assistance of colleagues. For instance, she says, boundary issues are very common. In a small rural community, it’s harder for counselors to draw the line between personal and professional interactions. Counselors are also more likely to run into clients outside of the office, Paulson notes. “I work out at the local YMCA, and I often see one of my clients in the locker room,” she says. So on the one hand, Paulson felt like she had little privacy in her role as a counselor. On the other hand, she felt very isolated professionally. “I wanted to connect with others, but it was hard to find [fellow helping professionals] to connect with,” she says. Those experiences sparked Paulson’s interest in peer-to-peer supervision, which she currently researches. In her research, she has found that other counselors who practice in rural areas mention having the same kinds of challenges — and a desire for community. Bill Casile acknowledges the difficulty of finding supervision in the comparative isolation of a rural environment, but he says living in an urban environment doesn’t guarantee that counselors-in-training and prelicensed counselors will secure quality supervision either. “When I talk to graduates, it’s scary the minimal supervision they’re getting,” says Casile, an ACA member and associate professor in the counseling, psychology and special education program at Duquesne University in Pittsburgh. Too often, he says, supervisees working toward their licensure are learning mainly about administrative tasks such as completing paperwork. While these novice counselors are logging hours and getting clinical experience, no one is attending to their skill development, he says. Casile was initially drawn to the study of supervision because he was dissatisfied with how counselor education programs were performing supervision during the practicum process. He thought the evaluation process was getting in the way of the functional educational purpose of supervision. In other words, supervisors were too busy grading and critiquing to truly teach their students real-life counseling skills. Casile has long been interested in group supervision and currently teaches a supervision class in which he tries to create a collaborative environment. His work with group supervision and collaboration led him to believe that peer-to-peer supervision might be a useful supplement to counselors’ other supervision experiences. Casile and Paulson have now teamed up to research peer-to-peer supervision. Their first study involved bringing counselors together just to talk face to face. “It wasn’t hierarchical, just an exchange of information,” Paulson says. The participants thought the experience was helpful, but most had to drive a considerable distance to meet their peers. So, Paulson and Casile decided to test online peer-to-peer supervision. They recruited area mental health professionals and established an online group through Google Hangouts, a platform that enables online group interaction through audio, video and a chatlike comments box. After the initial meeting to set everything up, the group met twice a month at first and then scaled back to once a month. The group was diverse and included family counselors, school counselors, private practitioners and even a psychologist. “Initially, Bill and I led the group, but we wanted the group to take over,” Paulson says. “They decided the structure would be that each meeting, one person would present a case [while maintaining client confidentiality], and then we would all discuss it.” The group also reserved time at the end of each session to discuss any concerns its members might have. Group members also wanted to learn more about supervision itself, Casile says, so they used different models, including “reflecting teams,” which is a structured way of providing feedback to the person presenting the case. One person assumes the role of supervisor, and the rest of the group listens to the dialogue between the “supervisor” and “supervisee.” Once their dialogue stops, the rest of the group members talk about what they heard, with the supervisor and supervisee now remaining silent. The group repeats this pattern until it has finished discussing all aspects of the case. Casile says this form of supervision helps to keep the presenting counselor from getting defensive when receiving feedback. The group also engaged in another type of supervision in which each participant played a role in the presented case, such as counselor, client, client family member and so on. This allowed group members to explore the case from multiple viewpoints, Casile notes. Participants found value in the peer-to-peer supervision group because it allowed for diverse perspectives. And unlike with one-on-one supervision, the group members didn’t feel pressured to demonstrate competence, Paulson and Casile say. Instead, the environment made it safe for members to ask “silly” questions they may have been embarrassed or scared to ask an individual supervisor. Paulson and Casile emphasize that peer-to-peer supervision is not a replacement for the regular one-on-one supervision that counselors should be accessing throughout their careers. They emphasize that even veteran counselors need the benefit of an outside perspective. At the same time, they realize that many counselors aren’t securing individual supervision for one reason or another, and they believe that some kind of supervision is essential throughout a counselor’s career. Participants in peer-to-peer groups may even end up finding individual supervision opportunities through the peer contacts they make, as happened with some of the members of Paulson and Casile’s group. To find a group of peers, Paulson and Casile advise counselors to join local professional networks, participate on Listservs or explore an ACA Interest Network (see counseling.org/aca-community/aca-groups/interest-networks). During my practicum and internship in a private practice several years ago, I remember often looking up on the wall at the doctorate degree diploma hanging beside my supervisor’s desk. (I’ll refer to this supervisor as Dr. S.) Something about its design didn’t seem right, but I couldn’t put my finger on what exactly seemed out of place. The imperfect calligraphy made the framed document seem manufactured, but who was I to proclaim that? As a counseling master’s student, I was there to learn through observation and experience, not to question Dr. S’s academic journey. On occasion, however, I would inquire about the college listed on the diploma, only to be told that it no longer existed. Dr. S often stated that he carried his transcripts in his briefcase in the event he ever needed to provide proof of the courses he took. Still, the longer I spent time at his practice, the more unsettled I became. Mental alarms began going off. The treatment rooms in the former Victorian train station had paper-thin walls. Because I positioned myself in an empty room adjoining Dr. S’s office to work on my tasks, hearing client sessions was not difficult. One particular red flag surfaced early in my time in the office when I discovered that Dr. S felt a need to be dishonest with me. As each client settled into his or her room, Dr. S was supposed to ask permission to include me in the session. Most of the time, he would summon me to join the session. But other times, he would tell me — after the client had left — that the client had not wanted me in the room. What was disturbing to me on these occasions was that Dr. S had not really asked the clients whether I could join their sessions. Eventually I noted that I was excluded from sessions in which clients had issues related to workers’ compensation. On the occasions when I did accompany Dr. S in sessions, it became more and more evident that he did not have any formal training in psychotherapy. The large majority of the words spoken during these sessions belonged to him. Dr. S mainly talked about himself, not about the clients’ issues. According to the CACREP-accredited training I was receiving at the University of Colorado, counselors were not supposed to talk about themselves but rather should be present for the client in person-centered mode. I’ll never forget witnessing one client who was crying. Dr. S didn’t offer any empathy or professional help. Instead, he began talking about himself and then swiftly stated that time was up for that session, leaving the client an emotional mess. Another red flag arose when Dr. S allowed a troubled young teenager access to all of the client files for sorting as a way to earn community service hours to appease the courts regarding her juvenile sentence. This teen was the daughter of a famous rock star who had died years earlier. Dr. S had previously provided therapy to this girl and her sister and developed a friendship with their mother. As a new student, I had difficulty determining whether this crossed the lines of the dual relationship we were learning about. But it became very evident that Dr. S reveled in associating with others who had attained fame. His walls reflected this, with framed photos featuring what now would be called selfies. Dr. S took me out to a country club and other restaurants for luncheons. He often promised to introduce me to important professionals in the community but never followed through. A few months into my practicum, Dr. S began making plans for me to join his practice as a colleague and to turn my time there into a paid position as an unlicensed psychotherapist. He freely began uploading my photo and mini bio on his website and declared me an associate, only afterward sharing with me what he did. One thing became clear almost immediately: a penchant for demonstrating his grandiose personality. Dr. S often bragged about where he had been in life, what he had accomplished and his service in the Navy. He was quite proud of having been a student at the University of Notre Dame, where he claimed to have earned his bachelor’s degree. He also spoke fondly of supporting the Make a Wish Foundation. His experiences as a forensic psychologist in the courtroom were often described with pride. His curriculum vitae (CV) was laden with court cases he said he had been hired to testify in as a forensic psychologist. Another achievement he proudly discussed in my midst regarded how he had secured contracts with the military and a local law enforcement office to provide psychological evaluations for soldiers serving overseas and potential police officer candidates. Many times, Dr. S tasked me to score these exams. Years later I discovered that one significant criterion for scoring these tests was for the scorer to possess a Ph.D. Nearing the completion of my first semester of internship, Dr. S invited my spouse and me to his house for dinner. Following dinner, he guided us to the living room where he laid out various blueprints of potential new office complexes he was considering moving his business to. He had recently received a notice to vacate from the landlord of the Victorian. While explaining the benefits of each office space, he peppered the conversation with promises of one of the offices being mine — potentially the nicest one. As I listened to him, it became very clear that he was asking me to invest thousands of dollars to secure the lease of one of the offices. He gently reminded me that his credit was wrecked because of a divorce and trouble with the IRS. Red flags began billowing all around me, fervently waving me in the direction of the door. My discomfort was evident to my spouse, so on my cue, we excused ourselves, thanking Dr. S for a lovely dinner. Late one evening following the dinner, Dr. S and I were instant messaging, planning out the following week. Dr. S indicated he was inebriated. Soon thereafter, I was the recipient of inappropriate comments that crossed the line of professionalism. As the conversation waned, I gathered the strength to call Dr. S out on his expectations that I would max out my student loans to finance his move. Immediately, he realized that I was on to his scheme. His response was to tell me not to come into the office and that he would be notifying my professor that he was breaking my second semester internship contract. In turn, I contacted my internship professor and relayed my concerns regarding Dr. S, his credentials and my contract. This professor set up an appointment to meet with Dr. S and me to gain greater clarity of the situation. As I sat in the office with my professor, it took all the strength I could muster not to cry over the manner in which I was being treated. Along with being dismissed came an inability to access my clients for closure. When I voiced these concerns, Dr. S stated that I did not have clients — they were his clients. Dr. S disclosed to my professor that the reason he could no longer supervise me was because the company with which he had the defense contract said it would no longer do business with him as long as I had access to his clients’ records. That moment solidified for me the lengths Dr. S would go to in constructing his lies. As we left the office, I confided to my professor how embarrassed and humiliated I was to be put through the meeting. I also explained how I knew Dr. S was lying. Tears surfaced quickly as I stood on the sidewalk, feeling the need to defend myself to my professor. She reassured me that she didn’t think any less of me and encouraged me to stay strong. She voiced certainty that I would be able to find another place at which to spend my second internship semester. 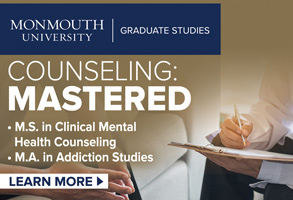 As the months passed and I gained more academic knowledge of counseling concepts, the easier it was for me to identify Dr. S’s questionable practices. Intrigued by the inconsistencies I had uncovered, I began digging deeper. It didn’t take long to find that his Ph.D. was a fraud, as were his other degrees and many of the claims on his CV. This meant that Dr. S’s counseling license in Colorado had been obtained with false credentials that were never verified by the state. At the same time I was researching the validity of Dr. S, a psychologist whom I’ll call Dr. P was looking for me. 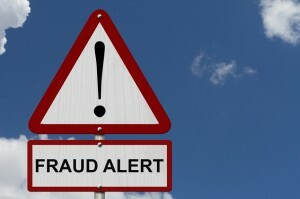 Dr. P had compiled a massive amount of evidence concerning the fraudulent practices of Dr. S. Her investigation had uncovered several associates of Dr. S who also had false credentials, and Dr. P wondered if I might be among them because she had found the information Dr. S had posted about me on the practice’s website. Although Dr. P had been speaking out against Dr. S for years, no one would listen. In fact, the state of Colorado had reprimanded Dr. P, deeming her a nuisance because she repeatedly brought concerns to the state’s attention. Dr. P refused to give up because she believed that what Dr. S was doing not only constituted fraud but also represented a danger to the mental health industry. Finally, award-winning investigative journalist Dave Phillips paid attention, patiently listening to Dr. P, taking a plethora of notes and asking a multitude of questions for clarification. Phillips then immersed himself in an investigation. For months, Phillips contacted all of the higher education institutions from which Dr. S claimed to have graduated. In the process, Phillips uncovered deep inconsistencies in the CV that Dr. S so proudly posted on his website and provided to professional associates, as well as other egregious fallacies related to Dr. S.
Finally, in February 2011, Dr. S surrendered his counseling license to the Colorado Department of Regulatory Agency. However, it would take another year for the surrender to be finalized. Most recently, Phillips discovered that although Dr. S lost his license, shut down his business, filed bankruptcy, sold his house and moved, he is once again using his “skills” to continue working in the mental health industry. This story is so important to share. I have had several years now to reflect on the impact of Dr. S’s actions. Professional counselors are taught about the vulnerable nature of clients and how they can be deeply harmed by ineffective therapy practices. 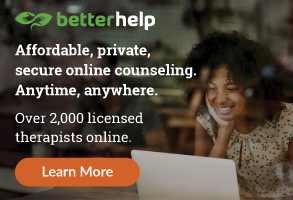 But what seems largely overlooked is the harm that counseling students can experience when the supervisors whom they trust have not been properly authenticated and licensed by state regulatory agencies. Students are in between two entities — their counseling program and their supervisor — both of which are overseeing the student’s performance. Students are as vulnerable as our clientele. They are still learning how to perform psychotherapy techniques along with the theories of therapy. 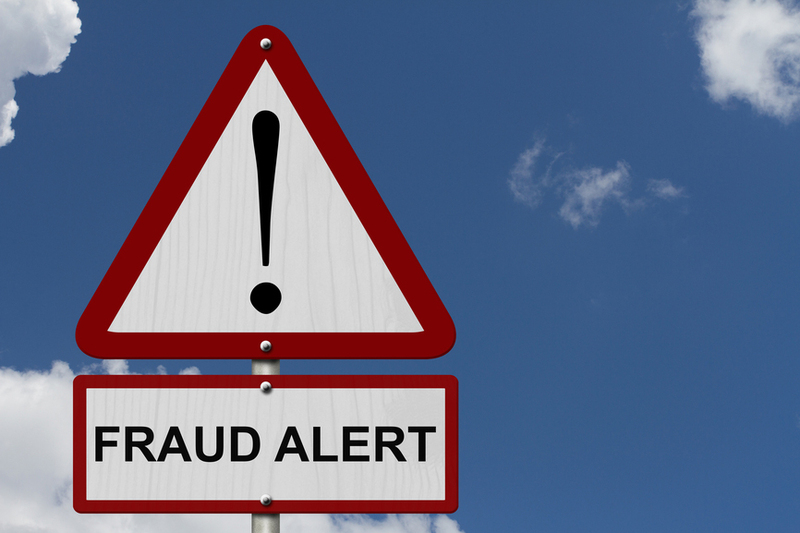 Students don’t possess the proper experience, nor is it their responsibility, to ferret out fraudulent practices. They are just learning ethics in counseling, the purpose for regulatory agencies and procedures for reporting abuse. It took me years to speak out about my experiences in Dr. S’s practice. Once I realized that Dr. S might be a fraud, I was very concerned about the legitimacy of my time under him in supervision. I even had concerns about finding a place to complete my internship requirements in a community already saturated with counseling students from various academic institutions. But now that Dr. S has been outed and has lost his license, I feel relieved. So students, beware! Report your suspicions to your professors. And if they don’t take you seriously, keep moving up the chain until someone hears you. Vanessa Dahn is a licensed professional counselor, national certified counselor and executive director of Safe Landing Group Center LLC. Contact her at poisonaero@live.com.